Thomas will make his Texans debut Sunday in Denver, Drew Dougherty of the team's official site reports. 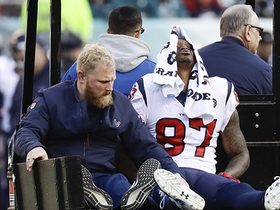 Thomas practiced with the Texans on Wednesday, Deepi Sidhu of the team's official website reports. The Broncos dealt Thomas and a seventh-round pick to the Texans for fourth-round and seventh-round selections Tuesday, Adam Schefter of ESPN reports. 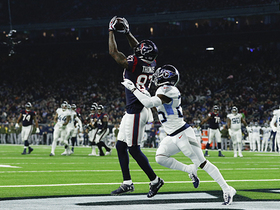 Analysis: With the trade official, Thomas will now work in tandem with top wide receiver DeAndre Hopkins and on the receiving end of passes from Deshaun Watson in his new locale. During nine seasons with the Broncos, Thomas surpassed 1,000 yards five times while racking up 60 touchdowns in 125 regular-season games. He also was fairly productive in the Broncos' 20th-ranked pass offense this year, totaling 36 catches (on 56 targets) for 402 yards and three TDs across eight contests. 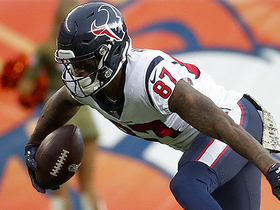 The Broncos are expected to trade Thomas to the Texans on Tuesday, Ian Rapoport of NFL Network reports. 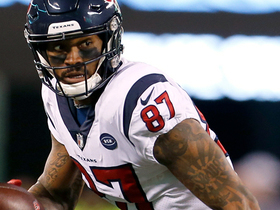 Analysis: There was an expectation that Thomas would be dealt before Tuesday's 4:00 PM ET deadline, and Houston is a logical landing spot with Will Fuller out for the season due to a torn ACL and rookie Keke Coutee tending to a hamstring injury. Thomas believes his odds of being dealt before the Tuesday trade deadline are 50-50, Jeff Legwold of ESPN.com reports. Thomas caught three of seven targets for 30 yards during Sunday's 30-23 loss in Kansas City. The Broncos aren't actively shopping Thomas and won't trade him this week, but they may listen to offers ahead of the Oct. 30 deadline, Mike Klis of 9News Denver reports. Thomas brought in five of six targets for 42 yards in the Broncos' 45-10 win over the Cardinals on Thursday. Thomas hauled in three of his four targets for 57 yards and a touchdown in Sunday's 23-20 loss to the Rams. Analysis: Thomas caught a 1-yard pass to draw the Broncos to 23-20 with under two minutes remaining in the game. He tied two teammates for fourth on the team in targets on the day, but the Georgia Tech product may not mind as long as he keeps finding paydirt. The 30-year-old will try to get in the end zone for a third straight game Week 7 on Thursday at Arizona. Thomas caught five of six passes for 105 yards and a touchdown during Sunday's 34-16 loss at the Jets. Thomas caught four of seven targets for 24 yards during Monday's loss to Kansas City. Thomas snagged all five of his targets for 63 yards during Sunday's 27-14 loss in Baltimore. Thomas caught five of 11 targets for 18 yards in Sunday's 20-19 win over Oakland. Analysis: The five grabs were good enough to lead the team on the day, as were the targets, which makes back-to-back weeks of 10 or more targets to open the season for Thomas. Emmanuel Sanders has been far more efficient and productive so far, but better days are ahead for the Georgia Tech product with that kind of target share, especially if he continues to get several deep shots per game like in this contest. The 30-year-old will try and get back in the end zone Week 3 at Baltimore. Thomas caught six of 10 targets for 63 yards and a touchdown in Sunday's 27-24 win against the Seahawks. Analysis: Thomas was relatively quiet until he caught a nice four-yard touchdown in the final period. Meanwhile, Emmanuel Sanders led the Broncos in all receiving categories, catching 10 of 11 targets for 135 yards and a touchdown. With Case Keenum upgrading the quarterback position for Denver, it wouldn't be surprising to see both Thomas and Sanders rebound from their disappointing 2017 stat lines. Thomas caught two of four targets for 13 yards in Friday's preseason game against Washington. 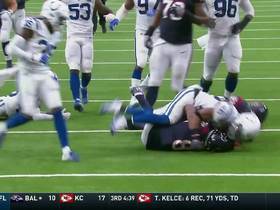 Analysis: Emmanuel Sanders and Courtland Sutton provided all the highlights, with Thomas contributing a modest 13-yard gain on a touchdown drive. Sutton's emergence has contributed to some rumors about Thomas being available for trade, but recent reports out of Denver suggest the team isn't actually considering the idea. Given their lack of proven talent at tight end, the Broncos shouldn't have too much trouble keeping Thomas, Sanders and Sutton busy. Rumors that Thomas is on the trade block are false, Benjamin Allbright of 104.7 FM Denver reports. Thomas (wrist) is practicing Monday, Ryan O'Halloran of The Denver Post reports. Analysis: Thomas was healthy throughout training camp prior to sitting out Saturday's preseason loss to the Bears. He played through nagging hip injuries for much of the past two years, but he's optimistic his weight-free training regimen in the offseason will help him avoid the same issues in 2018. The 30-year-old wideout could get extended run in Friday's preseason game against Washington. Thomas did not play in Saturday's preseason game against the Bears due to a sore wrist, the Broncos' official site reports. Analysis: Per the report, Thomas suffered the injury in practice on Thursday. We'll consider the wideout day-to-day for now, but if it's anything more than a minor issue, Thomas could potentially be held out of Friday's preseason dress rehearsal against Washington. Thomas wasn't in uniform during pregame warmups Saturday against the Bears, Nicki Jhabvala of The Athletic Denver reports. Analysis: On Thursday, Mike Klis of 9News Denver reported the first-teamers would log one to one and a half quarters of game action in preseason Week 2, but Thomas appears as if he'll remain on the sideline Saturday. If Thomas indeed does so, there will be plenty of targets available for rookies Courtland Sutton (knee) and DeSean Hamilton with the starting unit. Denver's starters, including Thomas, figure to play between a quarter and a quarter and a half Saturday against Chicago, Mike Klis of 9News Denver reports. Analysis: Thomas caught just one pass in limited action during the team's preseason opener. 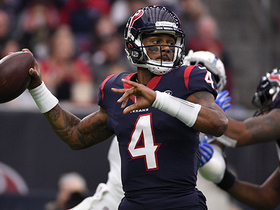 The arrival of Case Keenum has led to some hope that Thomas can rebound after one of the worst seasons of his career, a 2017 marked by nagging injuries and terrible quarterback play. For those looking to see if those hopes will come to fruition, Saturday's extended action should be revealing. Thomas credited a new diet and weight-free regimen for re-invigorating him after he privately pondered retirement following the 2017 season, James Palmer of NFL.com reports. Thomas has been moving all around the formation in the early days of training camp, Lindsay Jones of USA Today reports. Analysis: Predominantly an outside receiver throughout his career, Thomas could get some work in the slot to help create favorable matchups against undersized nickelbacks. He still figures to take the vast majority of his snaps outside, but it's encouraging that the Broncos are at least making an attempt to be less predictable in the passing game. Thomas doesn't seem to have any lingering issues with the toe injury that held him out for the final two days of June minicamp. Thomas (toe) will sit out the final two days of the Broncos' mandatory minicamp, Mike Klis of 9News Denver reports. Analysis: Thomas tweaked his toe during Tuesday's session and is apparently dealing with some soreness. The wideout did indicate that he wanted to practice Wednesday, but it sounds like the Broncos opted to hold him out so he didn't experience a setback heading into training camp. Thomas shouldn't face any limitations by the time camp opens in late July. Coach Vance Joseph said Thomas "tweaked" his foot Tuesday, which caused him to miss the team drills, Zac Stevens of BSNDenver.com reports. 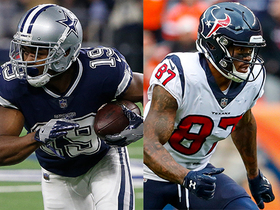 Analysis: Joseph didn't seem to indicate any concern about the issue, but it's worth monitoring the star wideout's availability as minicamp rolls along. Assuming the issue doesn't impact him in the long run, Thomas should lead the revamped Broncos receiving corps with a good opportunity to reach 140 targets after doing so in each of the last seven seasons. 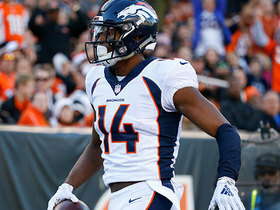 The Broncos' front office believes that second-round pick Courtland Sutton can be the team's future top target, a role currently filled by Thomas, Troy E. Renck of Denver 7 News reports. The Broncos have exercised a $4 million option to keep Thomas under contract for the next two seasons, Nicki Jhabvala of The Denver Post reports. Broncos general manager John Elway said Wednesday that the team would exercise Thomas' $4 million team option for 2018, which triggers the final two years of the five-year, $70 million contract extension he signed in the summer of 2015, Nicki Jhabvala of The Denver Post reports. Thomas snagged 83 of 141 passes for 949 yards and five touchdowns during the 2017 season. He fumbled once. Thomas snagged six of eight targets for 57 yards and a touchdown during Sunday's 27-24 loss to the Chiefs. Thomas reeled in four of six targets for 52 yards in Denver's 27-11 loss in Washington. 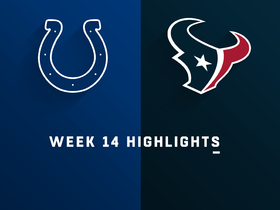 Thomas brought in five of eight targets for 69 yards in Thursday's 25-13 win over the Colts. 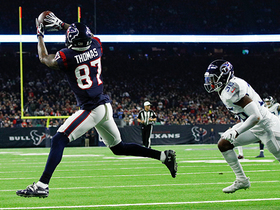 Analysis: Thomas' receiving yardage led all pass catchers on the night and his 13.8 YPC was his best since Week 3. The eight-year veteran has come on in the last two games, posting a combined 13 receptions for 162 yards, and he's now posted at a catch of at least 20 yards in three straight contests. With Brock Osweiler slated to remain under center for the Broncos' final two games in the wake of Trevor Siemian's shoulder injury, Thomas' production could continue to see a slight uptick. Thomas caught eight of 12 pass attempts for 93 yards and a touchdown in Sunday's 23-0 win over the Jets. Analysis: He had more receptions and yards in this one than in his past two games combined. The 29-year-old was again Trevor Siemian's most targeted receiver, as no other Bronco saw more than four. 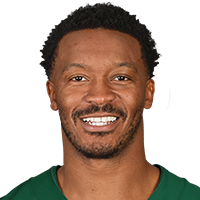 The Georgia Tech product will look to take advantage of another plus matchup with the Colts in Week 15. Thomas hauled in two of 10 targets for 27 yards in Sunday's 35-9 loss to the Dolphins. Analysis: Thomas was targeted a team-high amount, but Trevor Siemian's inaccuracy and some solid defense on the part of the Dolphins conspired to limit him to an unsightly 20.0 percent catch rate. The veteran wideout continues to see ample volume irrespective of who's under center, but he's sporting a paltry 6.4 yards per catch on seven receptions over his last two games. Thomas will look to improve his efficiency and numbers against the vulnerable Jets secondary in Week 14. Thomas caught five of eight pass attempts for 18 yards in Sunday's 21-14 loss to the Raiders. Analysis: Though only his third-worst statistical output on the season from a fantasy perspective, it was perhaps his most disappointing, considering that the 29-year-old receiver had tallied at least 44 yards and a touchdown in three consecutive weeks, and led the Broncos in receptions and targets in this one. His longest gain of the game was six yards. The eight-year veteran will try and rebound in a Week 13 matchup with Miami. Thomas caught five of nine targets for 64 yards and a touchdown during Sunday's 20-17 loss to the Bengals. Analysis: Thomas had a quiet game going into the fourth quarter and only achieved fantasy utility with a 17-yard touchdown grab with five minutes left on the clock. He was the team leader in targets, catches and yards, but another lackluster performance from Brock Osweiler capped what production he did enjoy. Still, Thomas has scored in three straight games since Osweiler took over and will look to keep this streak alive next week against the Raiders. Thomas (knee) practiced fully Thursday. Analysis: Thomas was limited Wednesday, but his full participation Thursday ensures that the wideout will be available for Sunday's contest against the Bengals. With tight ends A.J. Derby (shoulder) and Jeff Heuerman (knee) both banged up, look for Thomas and fellow wideout Emmanuel Sanders to remain key cogs in the Broncos' Week 11 passing attack. The duo combined for 11 catches on 19 targets in this past Sunday's 41-16 loss to the Patriots. Thomas (knee) was limited at practice Wednesday, Zac Stevens of BSNDenver.com reports. Analysis: We'll revisit Thomas' status Thursday, but his limited participation suggests that the Broncos were likely simply managing his reps Wednesday. Last week, the wideout missed practice on Wednesday with a hamstring issue, before returning to a limited session Thursday and turning a full practice Friday. Thomas caught five of eight targets for 44 yards and a touchdown during Sunday's 41-16 loss to the Patriots. Thomas (hamstring) was a full practice participant Friday and doesn't have an injury designation for Sunday's game against the Patriots. Analysis: Thomas improved each day throughout the week, starting with a Wednesday absence and a limited session Thursday. He didn't appear hindered in last week's 51-23 loss to the Eagles, hauling in eight of 12 targets for 70 yards and a touchdown. Running mate Emmanuel Sanders (ankle) may actually be a bit more nicked up, though he's also on track for Sunday's game after logging full practices Thursday and Friday. The Broncos listed Thomas as a limited participant in practice Thursday, Nicki Jhabvala of The Denver Post reports. Analysis: It amounts to a step forward for Thomas, who was held out entirely during the Broncos' first practice of the week Wednesday. There's a good possibility Thomas will take part in all drills Friday, but even if the Broncos decide to limit him again, the expectation remains that he'll be in line for a full workload Sunday against the Patriots. Thomas was held out of Wednesday's practice with a hamstring injury, James Palmer of NFL Network reports. Analysis: Thomas dealt with minor groin and hamstring issues in August and September, but it wasn't anything that posed a threat to his game availability. He didn't appear hindered in Sunday's 51-23 loss to the Eagles, catching eight of 12 targets for 70 yards and a touchdown while logging 83 percent of the offensive snaps. A return to practice Thursday -- even in a limited capacity -- likely would put Thomas on track to play in Sunday's game against the Patriots. Thomas caught eight of 12 targets for 70 yards and a touchdown in Sunday's 51-23 loss in Philadelphia.